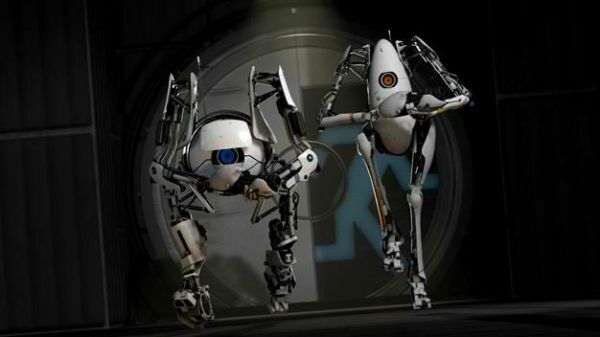 Motion gaming is coming to Portal 2. It won't be for the PlayStation Move, and no, it won't be for the Xbox Kinect, either. Another motion control peripheral is coming to the PC in the form of the Razer Hydra. Unlike consoles' camera motion controls, the Razer Hydra has a base station that creates an electro magnetic field that can be manipulated by two Wii/Move like controllers. Players can use the peripheral to stretch blocks and expertly manipulate lasers. No word on whether these motion controlled levels will support co-op, it may just be a polished tech demo. The motion control level pack of Portal 2 will ship in a bundle next year, for reportedly "sub $100." This is an exclusive deal, but if a motion control portion has been made for Portal 2, expect publishers to push for the game to be made available to the millions of Kinect and Move owners out there. VentureBeat.com filmed the device in action. Read on, and let us know what you think. Big Chief Friendship Becomes "Good Co-Op. Bad Co-Op"
Page created in 0.3218 seconds.